Google Chrome leaks memory sometimes, and you may face memory leaking issue. There is a way to find out whether your Chrome is leaking memory or not. You can follow steps in that article to know. But there are routine checks and fixes you can try to get rid of memory leak issue. Google Chrome is no doubt a great minimalistic designed web browser with high performance but requires lots of ram usage. 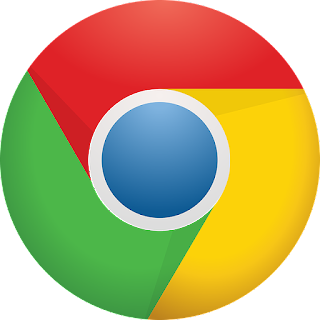 If you have ever experienced high ram usage or memory leaking issues in Google Chrome you can follow below guides to fix it. There are a few advice and checks to fix high ram usage also known as the memory leak. You can read and check on the machine and if they are not correct fix them one by one. Latest Version of Google Chrome: - Google Chrome browser's developer community maintains 3 version of Google Chrome. Beta, Canary and Normal version. Updates and new features are tested by Canary, Beta and then stable releases. So using Beta or Canary for a regular user is not a good idea and if you are using standard version then do check if it is updated to latest version or not. To check go to Settings > Help or enter following address: - chrome://help/ in the Address bar. Remove Unused Extensions and Apps : - I was wondering one day why my machine is running very slow even after 8 GBs of ram then realised that only Google Chrome is slow and was eating too much ram. When I opened Chrome's 'Task Manager' (shift+esc) there were some apps and extensions which I don't even remember. Only keep useful extension and apps, remove those who are not of your use. Open extensions page and remove unwanted extensions and apps from there to resolve the high ram (memory leak) issue. Use Google Chrome's Task Manager : - Lots of Google Chrome user don't know that it has own task manager where memory usage and other details can be seen. You can use Chrome's task manager to fix memory leaking issue. Open task manager by pressing Shift + Esc and kill unwanted processes by selecting and pressing 'End Process' button. This will surely help to reduce ram usage and fix any memory issue with Google Chrome browser. Use extensions to reduce "High Memory Usage" : - There are a number of useful extensions to reduce high ram usage. One tab and The Great suspenders are two excellent extensions to help you in high memory usage issue. If these problems do not resolve high memory usage issue or you still think Chrome is leaking memory then reinstalling can fix it. You can completely uninstall Google Chrome and reinstall it to fix most of the problems including high memory usage or memory leaks. None of these are fixes. They are workarounds. None of these solves the problem and requires me to do extra work because the software is not working properly.